For those paying attention, First Things has had a lot to say lately, so much of it timely and important. In the following piece, that we find fitting to bring to our readers' attention, not only do they rightly compare the Novus Ordo to the Protestant Revolt, but credit the saving of the Roman Rite to Archbishop Marcel Lefebvre. The times in which a new form is born are extremely rare in the history of mankind. Great forms are characterized by their ability to outlive the age in which they emerge and to pursue their path through all history’s hiatuses and upheavals. The Greek column with its Doric, Ionic, and Corinthian capitals is such a form, as is the Greek tragedy with its invention of dialogue that still lives on in the silliest soap opera. The Greeks regarded tradition itself as a precious object; it was tradition that created legitimacy. Among the Greeks, tradition stood under collective protection. The violation of tradition was called tyrannis—tyranny is the act of violence that damages a traditional form that has been handed down.One form that has effortlessly overleaped the constraints of the ages is the Holy Mass of the Roman Church, the parts of which grew organically over centuries and were finally united at the Council of Trent in the sixteenth century. It was then that the missal of the Roman pope, which since late antiquity had never succumbed to heretical attack, was prescribed for universal use by Catholic Christendom throughout the West. If one considers the course of human history, it is nothing short of remarkable that the Roman Rite has survived the most violent catastrophes unaltered. Without a doubt, the Roman Rite draws strength and vitality from its origin. It can be traced back to the apostolic age. Its form is intimately connected with the decades in which Christianity was established, the moment in history the Gospel calls the “fullness of time.” Something new had begun, and this newness, the most decisive turning point in world history, was empowered to take shape, take on form. Indeed, this newness came above all in the assumption of form. God the Creator took on the form of man, his creature. This is the faith of Christianity: In Christ all the fullness of God dwells in bodily form, even in that of a dead body. Spirit takes form. From this point on, this form is inseparable from the Spirit; the Risen One and Savior, returning to his Father, retains for all eternity the wounds of his death by torture. The attributes of corporeality assume infinite significance. 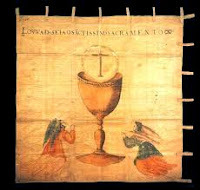 The Christian Rite, of which the Roman Rite is an ancient part, thus became an incessant repetition of the Incarnation, and just as there is no limb of the human body that can be removed without harm or detriment, the Council of Trent decreed that, with respect to the liturgy of the Church, none of its parts can be neglected as unimportant or inessential without damage to the whole. It is said that every apparently new thing has always been with us. Alas, this doesn’t seem to be the case. The industrial revolution, science as a replacement for religion, and the phenomenon of the wonderful and limitless increase in money (without a similar increase in its material equivalent) have given rise to a new mentality, one that finds it increasingly difficult to perceive the fusion of spirit and matter, the spiritual content of reality that those who lived in the preindustrial world across thousands of years took for granted. The forces that determine our lives have become invisible. None of them has found an aesthetic representation. In a time that is overloaded with images, they have lost the power to take form, with the result that the powers that govern our lives have an intangible, indeed, a demonic quality. Along with the inability to create images that made even the portrait of an individual a problem for the twentieth century, our contemporaries have lost the experience of reality. For reality is always first seized in a heightened form that is pregnant with meaning. In a period such as the present, unable to respond to images and forms, incessantly misled by a noisy art market, all experimentation that tampers with the Roman Rite as it has developed through the centuries could only be perilous and potentially fatal. In any case, this tampering is unnecessary. For the rite that came from late antique Mediterranean Christianity was not “relevant” in the European Middle Ages, nor in the Baroque era, nor in missionary lands outside Europe. The South American Indians and West Africans must have found it even stranger, if possible, than any twentieth-century European who complained that it was “no longer relevant”—whereas it was precisely among those people that the Roman Rite enjoyed its greatest missionary successes. When the inhabitants of Gaul, England, and Germany became Catholic, they understood no Latin and were illiterate; the question of the correct understanding of the Mass was entirely independent of a capacity to follow its literal expression. The peasant woman who said the rosary during Mass, knowing that she was in the presence of Christ’s sacrifice, understood the rite better than our contemporaries who comprehend every word but fail to engage with such knowledge because the present form of the Mass, drastically altered, no longer allows for its full expression. This sad diminution of spiritual understanding is to be expected, given the atmosphere in which the revision of the Roman Rite was undertaken. It was done during the fateful years around 1968, the years of the Chinese Cultural Revolution and a worldwide revolt against tradition and authority after the conclusion of the Second Vatican Council. The council had upheld the Roman Rite for the most part and emphasized the role of Latin as the traditional language of worship, as well as the role of Gregorian chant. But then, by order of Paul VI, liturgical experts in their ivory towers created a new missal that was not warranted by the provisions for renewal set forth by the council fathers. This overreaching caused a breach in the dike. In a short time, the Roman Rite was changed beyond recognition. This was a break with tradition like nothing the Church in its long history has experienced—if one disregards the Protestant revolution, erroneously named “the Reformation,” with which the post-conciliar form of the liturgy actually has a great deal in common. The break would have been irreparable had not a certain bishop, who had participated in the council (and signed the Constitution on the Sacred Liturgy in good faith, assuming that it would be the standard for a “careful” review of the sacred books) pronounced an intransigent “no” to this work of reform. It was the French missionary archbishop Marcel Lefebvre and his priestly society under the patronage of Saint Pius X whom we have to thank that the thread of tradition, which had become perilously thin, did not break altogether. This marked one of the spectacular ironies in which the history of the Church is rich: The sacrament, which has as its object the obedience of Jesus to the will of the Father, was saved by disobedience to an order of the pope. 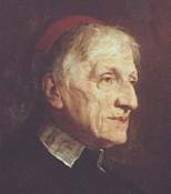 Even someone who finds Lefebvre’s disobedience unforgiveable must concede that, without it, Pope Benedict XVI would have found no ground for Summorum Pontificum, his famous letter liberating the celebration of the Tridentine Mass. Without Lefebvre’s intransigence, the Roman Rite almost certainly would have disappeared without a trace in the atmosphere of anti-traditional persecution. For the Roman Rite was repressed without mercy, and that repression, supposedly in the service of a new, “open” Church, was made possible by a final surge of the centralized power of the papacy that characterized the Church prior to the council and is no longer possible—another irony of that era. Protests by the faithful and by priests were dismissed and handled contemptuously. The Catholic Church in the twentieth century showed no more odious face than in the persecution of the ancient rite that had, until that time, given the Church her identifiable form. The prohibition of the rite was accomplished with iconoclastic fury in countless churches. Those years saw the desecration of places of worship, the tearing down of altars, the tumbling of statues, and the scrapping of precious vestments. Martin Mosebach is not a philosopher or theologian, but an artist and cultural critic. Yet he has more insights than 95% of philosophers and theologians when it comes to understanding what went wrong with the Church after Vatican II and how this is evidenced in a liturgy that has gone off the rails. Mosebach is a treasure! Thanks for posting this! Delayed publication of EF Mass times, etc.